Listening to Malala Yousafzai’s tribute to Jo Cox at the vigil, we were reminded not to be angry about her death but to remember Jo’s now immortal words that we have ‘more in common than that which divides us’. I never met Jo, but I feel as though I knew her as a friend. I only found out recently she used to live down the road from me in Tower Hamlets. 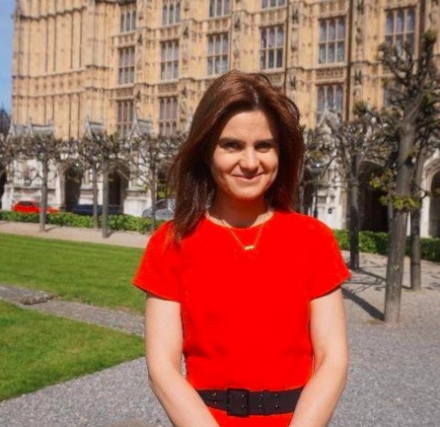 I feel connected to her more than ever having completed the Jo Cox Women in Leadership Programme. Alison McGovern MP described Jo’s support as akin to “having one arm wrapped around your shoulder and the other one pushing you forward”. Over the last six months, we’ve created a sisterhood of Labour sisters. Being a woman in politics is often extremely difficult: it can feel like people want you to fail. That’s why it’s been so life-changing for me to form a bond with women who will listen, help and support each other. When I filled out my application I didn’t think I had any chance of getting onto the programme. The thought of writing it filled me with dread: what did I have to offer? Your natural inclination might be to treat the application like a job application, so my first draft was basically my CV. A few days before the application was due, I looked it again and thought better. It wasn’t what I want to say at all about myself at all. I deleted the whole thing and started again. This is my top tip for you for when you fill out your own application form: tell them who you really are and how that connects to the Labour Party. The programme itself is designed to prepare women to take roles of leadership into politics and beyond. It is led by the enigmatic Nan Sloane. If you don’t know her yet, you’re never going to forget her after being on the programme. Nan isn’t interested in the excuses you’ve been making for yourself or the barriers you think you’ll never be able to overcome. You’re asked to dig deeper than that – not just for yourself, but for all the other women on the programme too. On day one I felt that sense of looming dread because I was convinced I was some sort of imposter. How had I been chosen out of 1,000 applicants? I was certain I was going to be turned away at the door, someone citing an administrative error by the Labour Party. (It would hardly have been a first.) But that didn’t happen and I went on to meet some of the most impressive, hard-working and inspirational campaigners and activists I’d ever met in all my active political years. Throughout the programme, we shared with each other our personal stories and experiences in politics. I heard from these women from all around all the UK. Some of those experiences were motivating to hear and some of them were heartbreaking. What saddened me most, though, was how we had all experienced sexism in politics. From branch, CLP and council all the way to policy-making, excellent women are struggling to be heard around the table. How do we fight this deep-rooted sexism in politics? Much of the programme focused on what advice we could give each other, learning from battles fought, won and lost. Some of that advice was as simple as learning how to be brave. The rest of the programme provided us with leadership skills – we examined the structure of political communications, strategy and messaging, as well as what feminist leadership looks like in practice, plus a dose of Labour history as we looked at key figures in women’s political history. The highlight of the programme was the shadowing opportunity. I was fortunate to be able to spend a day in parliament with Preet Gill MP, graduate from the first cohort of the Jo Cox Women in Leadership Programme. I also spent a day with Flo Eshalomi, London Assembly Member in City Hall. I was keen to do my shadowing with young BAME women in politics, so I couldn’t have hoped for more. As Labour Party members, I know how much we sacrifice and how much time we give to the party. It was a surreal and humbling experience to have so much time and energy invested into me from the party. It gave me confidence and made me feel valued. Now I’ve graduated from the programme, I feel as though there’s isn’t anything that my persuasive, eloquent and determined sisters and I can’t achieve together. I can honestly say it’s one of the best things I’ve ever done. Deeba Syed is a Labour activist and member of the Young Fabians executive.